I had a great time checking out the free patterns linked in the Flip this Pattern: February “Free for All” link up. I was thrilled to see Infant Peasant Dress Pattern. I love sewing peasant dresses for little girls. I love how quick they are to sew up and that they do a good job of showing off prints. 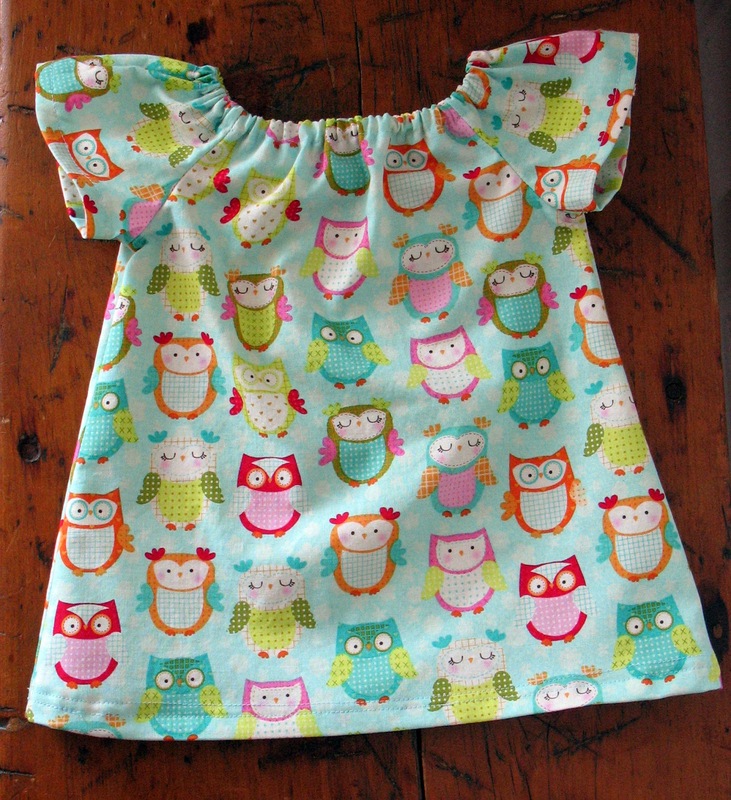 The only change that I made when sewing up this little owl dress was to skip the elastic in the sleeves. I like the flutter sleeve look that you get when the elastic is skipped in this kind of dress.